After a long absense, our un-pierced cup hilts are back. Cup hilts may be purchased unbladed, or mounted on any of our blade models. The example in the above photo is mounted on one of our wide flat tang blades. This hilt comes with an 11 3/4 inch long cross guard, and an optional knuckle guard. We can remove the knuckle guard at no extra charge. 11 3/4 inch long Guards may be ordered straight, curved forward (C shaped), or serpentine (S shaped). 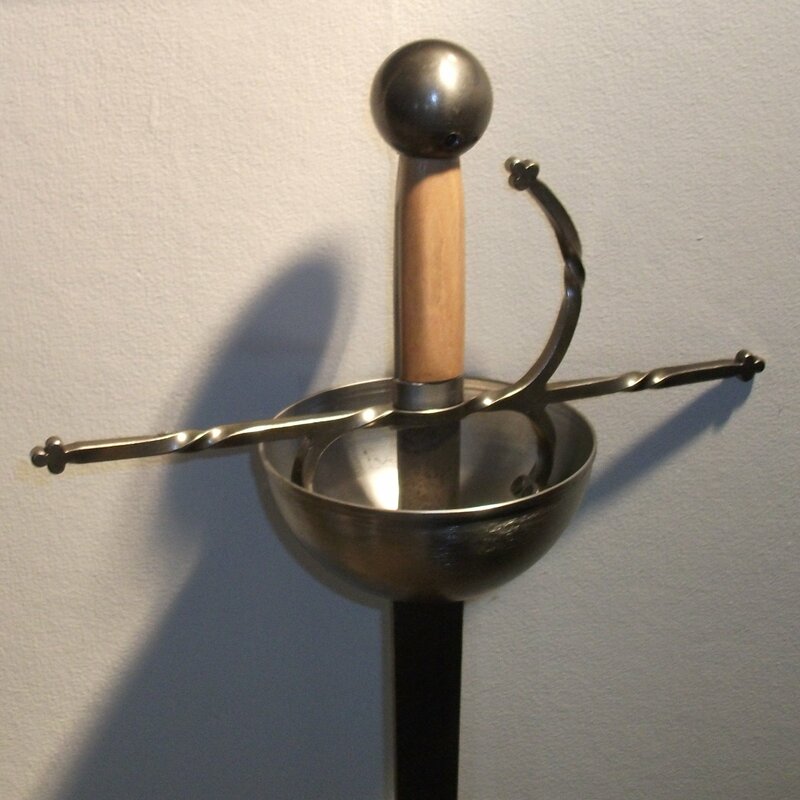 If a rapier is being ordered primarily for sidesword fencing, let us know via e-mail or through PayPal's "note to seller" and we'll mount a lighter pommel. Our Alchem blades can be used for either thrust only or cut and thrust sidesword fencing. Please note: If not specified, the defaults are gray, straight, present, thrust & parry fencing.